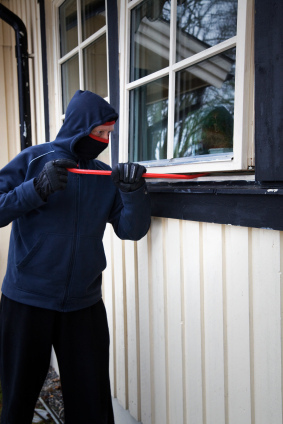 Millions of burglaries occur annually in the United States. Most of these burglaries take place in residential areas and the majority take place in broad daylight. Every year crooks are getting away with thousands of dollars worth of homeowner’s property. And they’re stealing much more than that in terms of peace of mind. Nobody wants to be the victim of a burglary so take the time to protect your home thoroughly. Here are some simple pieces of advice that anyone can do and that will make a big difference. The best way to prevent nighttime burglaries is to keep things well lit. Leaving a few lights on inside your home when you go out at night can give the appearance that someone is still home. If you will be gone for an extended time you may want to get lights that can be set to timers so that lights will be turning on and off inside your home while you are gone. Also, make sure the exterior of your home is well lit. Standard porch lights are a great idea and motion activated lights in other points around the exterior of the home will prevent burglars from being able to sneak around and find access through potential entrance points. The most obvious home security measure is overlooked far too often. Keep your doors locked. Even if you are only going to be out for a short time you should lock your doors behind you. In fact, it is a good idea to keep your doors locked during the day even if you’re in the home. In the event that keys go missing and can’t be found after a thorough initial search, you should change your locks immediately. True, you might find the keys shortly after going through the effort of changing out your locks but waiting until they turn up is not worth the risk that someone out there has direct access to your home, your valuables and your loved ones. Don’t leave notes on your door or mailbox for delivery men or anyone else. 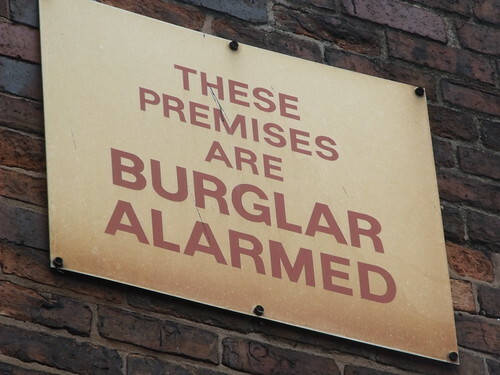 These notes make it clear that you are not around and that is exactly what a burglar is hoping for. If you are going to be gone for an extended period of time put a temporary stop on your mail because a full mailbox is another dead giveaway of an empty home. Also be careful about broadcasting vacations through social media and other sources. You never know who is viewing such content so wait until you are back home to upload your pictures and share your adventures through the web. Prevention of burglaries is the goal so do all that you can to dissuade a burglar from targeting your home. If you have an organized neighborhood watch in your area then place a sign prominently on your home and encourage neighbors to do the same. If you have a security system then do the same with their sign. The truth is that the security system sign is worth about as much as the system itself. David Glenn is a home improvement expert of over 20 years. He occasionally freelance writes about home automation and home security. Be sure to check out Home Security Systems by Vivint for state of the art home security systems.